Shown below are two fixtures between 3 way switches. The power source is via the switch box SB1 and a 3-wire cable (C1) runs from there to the first fixture (F1). 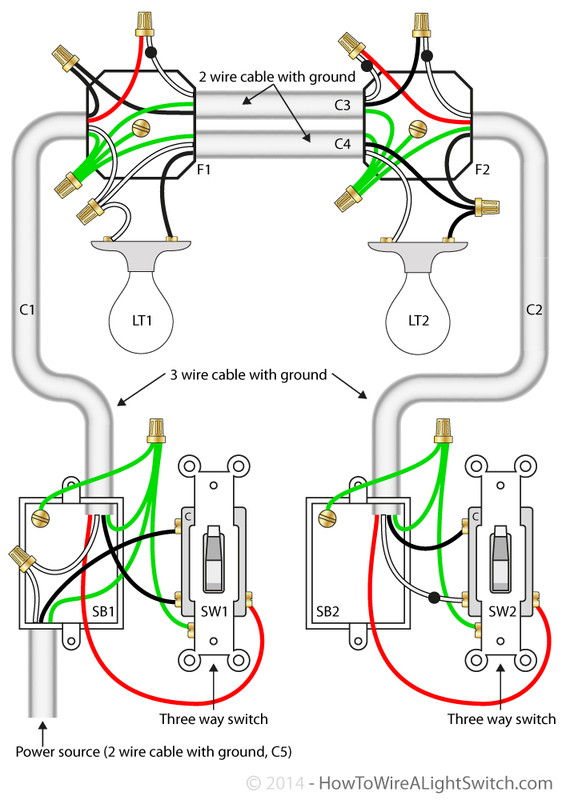 Two, 2-wire cables (C3 and C4) run between the fixtures, and a 3-wire cable (C2) runs from the second fixture (F2) to the second 3 way switch (SW2). The hot source is connected to the common terminal of SW1. The neutral is spliced to the white wire feeding the first fixture, via cable C1,where it is spliced to the neutral of both lights. The traveler wires from the two switches pass straight through the fixtures via cable C3.